Timothy Castagne has again played down the prospects of a move to Celtic. 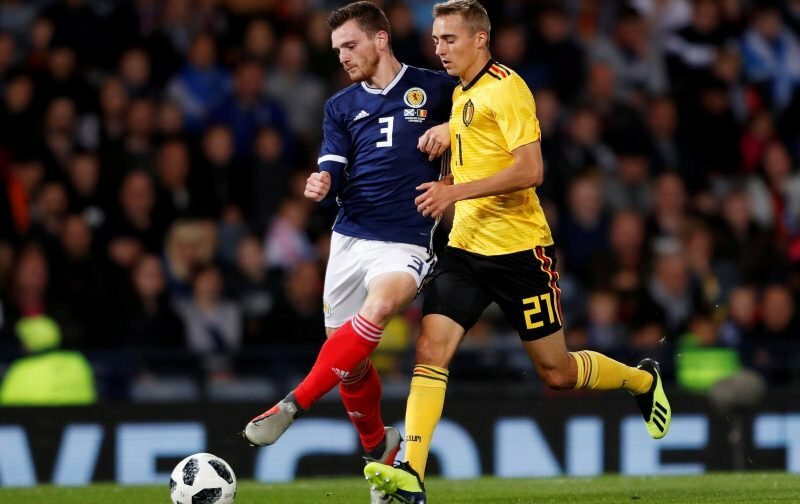 The right-back was strongly linked with a move to the SPFL champions at the start of the January transfer window but there seemed little encouragement coming from the Atalanta defender. With Mikael Lustig and Cristian Gamboa both out of contract in the summer right-back has been identified as a position that Celtic need to strengthen going into next season’s European qualifiers. On transfer deadline day Celtic came up with a loan deal for Jeremy Toljan of Borussia Dortmund that ends in May as the search resumes for a right-back. Castagne is in his second season with Atalanta after establishing himself at Genk. According to Soccerway he has made 10 first team appearances this season and is rated in the £6-8m price range.